A pre-wedding consultation can be provided(which can be held at the venue), if appropriate, to discuss the photography arrangement of the wedding day. All day photo shooting starting from getting ready of the Bride preparations until late night. During the day I shoot unlimited photographs. Every photo will be carefully edited in post-production to achieve the highest quality. All photographs can be shared to your closest friends and family members. An on-line private (password protected) gallery. You will receive all your images on high quality personalised USB. A beautiful personalised wedding album (a wedding album of 24pages). A ''Save The Date'' Session. After your wedding day you will receive all your images within 2-8 weeks. Travel within a 70 mile radius without extra charges. The USB design comes different every time. I am trying to suit everything with my customers tastes. 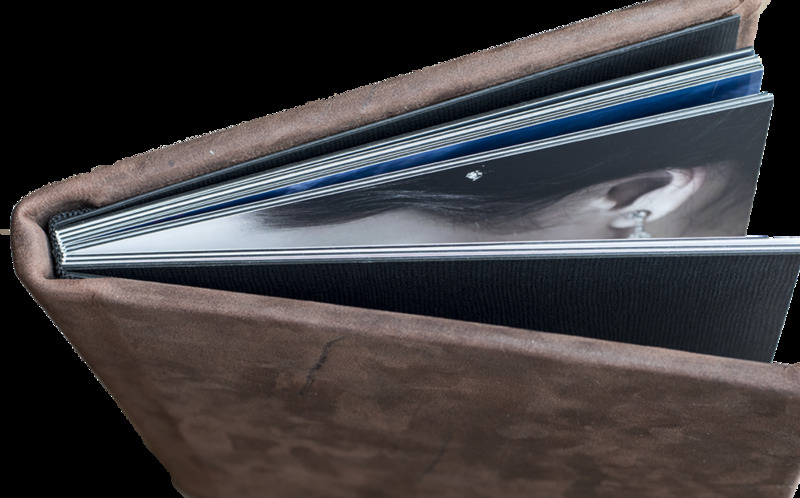 Hard genuine leather cover, printed with the new Flush Mount Print.